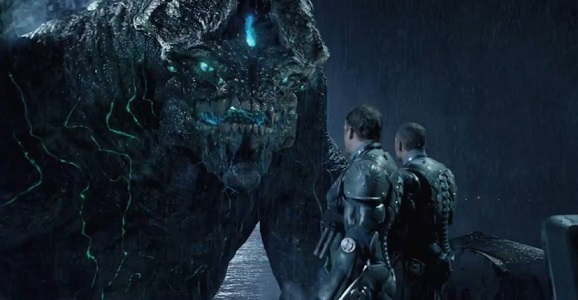 With Gareth Edwards’ Godzilla a mere month-and-a-damned-half away from turning my mind to glorious mush, I’m willing to allow the film access to my life in any way possible, down to purchasing Godzilla mouthwash. (It sets itself on fire as you gargle.) 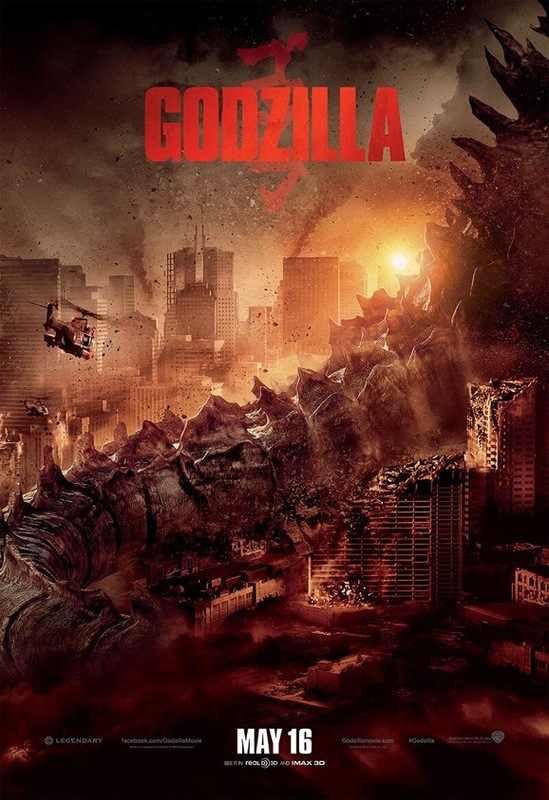 Legendary and Warner Bros. are pushing the promotional campaign into high gear now, and their latest poster, seen above, is surprisingly effective as the exact opposite of anything you’d expect from a Godzilla poster. Of course, it’s basically an advertisement for the social media-friendly “#DemandToKnow” tag, but it’s still a novel and artsy approach in how un-Hollywood it is. 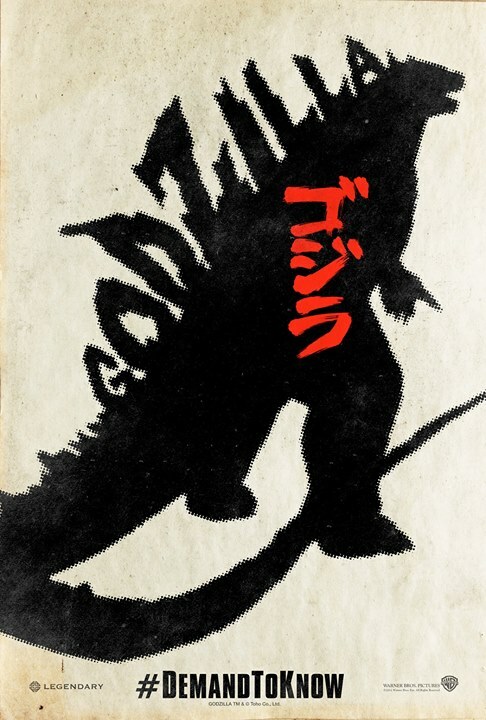 I’m almost certain that the font Godzilla is written in on the monster’s back gave some studio exec night sweats for a week. But this is an image that earns its place on a poster. And I’m also wondering if the hashtag business goes towards any predetermined goal, as in “If we get 25,000 retweets, we’ll release another trailer.” Note the way they word the following. I spend roughly 24 hours of every day wishing that I had unlimited funds to spend on whatever I want, and rarely does that feeling get more intense than when I start looking at photo galleries of pop culture-related art. The Bottleneck Gallery in Brooklyn, NY is currently featuring one of the sweetest exhibits I’ve ever seen with “When the Lights Go Out 2,” which started on March 22 and runs through April 9. While it won’t actually add to your enjoyment to turn out the lights while you look at these on a computer or phone, it might make you feel more like a part of the exhibit itself. Not only do these pieces in this collection depict a wide range of amazing work dedicated to film and TV, but they all glow in the dark. Some use this to great effect and change the image completely. I don’t think I have to tell you what glows in the picture above, titled “He’s an Ugly Lil’ Spud” from artist Mark Lone. 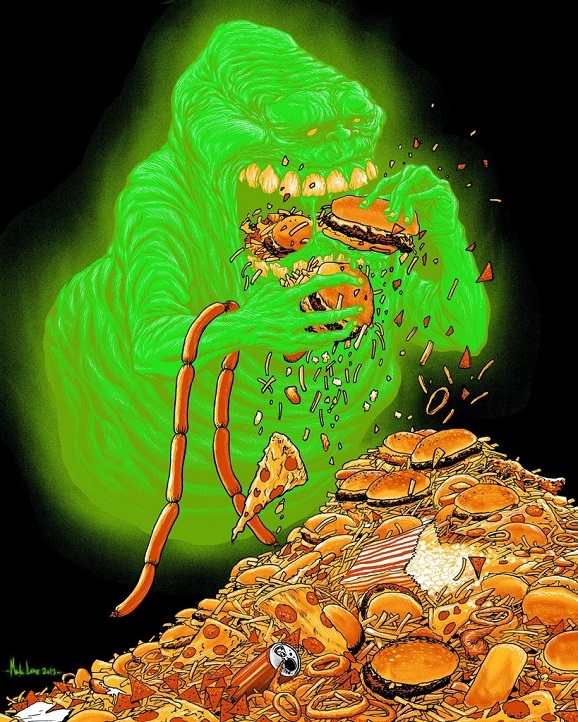 For such a dumb ghost, Slimer sure is…bright. While the exciting IDW series Godzilla: Rulers of the Earth is releasing its tenth issue this week, our eyes are turned to another illustrated version of the biggest baddie of them all. 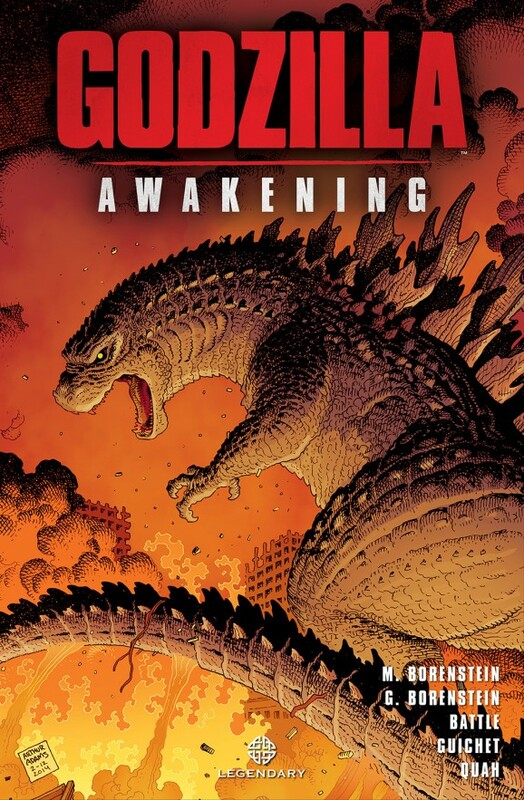 As with most of their recent blockbusters, Legendary and Warner Bros. are releasing a graphic novel tie-in to accompany Gareth Edwards’ rabidly anticipated Godzilla, which is somehow still two months away. And now we know a few details about it and what the cover looks like, as drawn by artist Arthur Adams. It’s no surprise that the entire thing is taken up by the King of the Monsters and a bunch of fire and smoke. This guy’s definitely got a gimmick.